It's that time of year again, when the Superintendent and his staff take their Revenge! Take part in this unique Golf Tournament Saturday, February 16th. For only $30 participate in this Four-Man Two-Net Best Ball on Extreme Course Conditions created by the Grounds Crew event. Following Golf, awards will be given while you enjoy the Club favorite Bratwurst Bar and a special Whiskey tasting. 4 Man Team signups are preferd, the Golf-Shop will pair all singles. 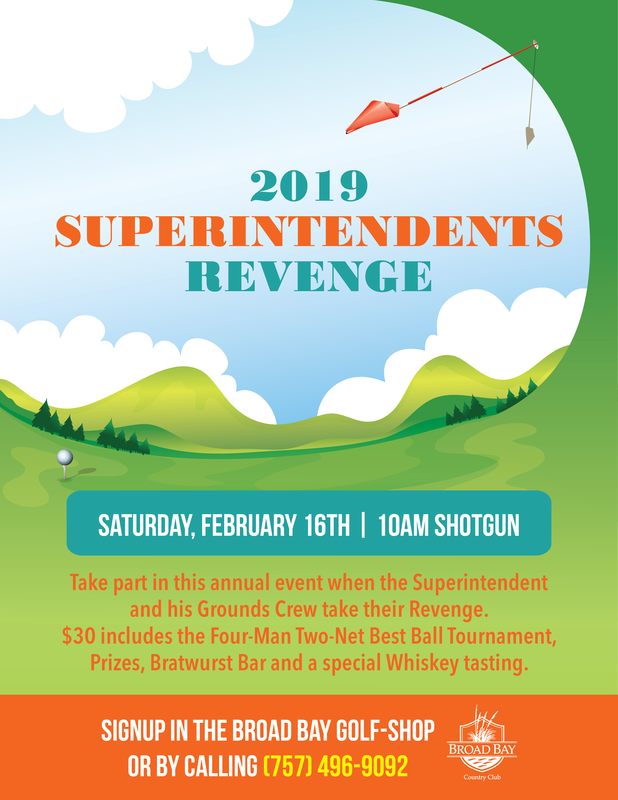 Don't miss your chance to take on the Superintendent!